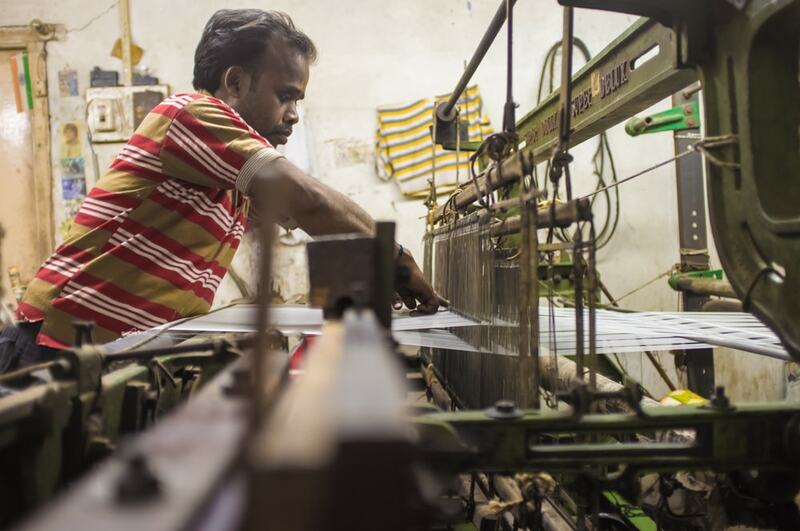 Small businesses are the backbone of the Indian economy and there are an estimated 55 million Micro, Small and Medium Enterprises operating in India. The rollout of GST would have extensive impact on over ten million SME businesses operating in India and would require compliance under the GST regime. However, many small businesses would not have the expertise or the capability to comply with many of the GST regulations, unlike medium and large sized businesses. Hence, to make GST compliance easy for micro, small and medium enterprises operating in India, there exists a GST composition levy scheme. In this article, we look at the GST Composition Levy scheme in detail along with eligibility criteria and application procedure. Hence, any business registered in India with an aggregate sales turnover of less than Rs.75 lakhs in the preceding financial year can pay their GST liability in the form of a composition levy at prescribed rates. The aggregate sales turnover criteria for GST composition scheme was increased from Rs.50 lakhs to Rs.75 lakhs. In case of manufacturers, the composition levy has been fixed at 1% of the aggregate turnover in the State or Union Territory. Finally, any other suppliers who do not fall under any of the category above and is eligible for the composition levy scheme would be taxed at 0.5% of the turnover in State or Union Territory. Only small businesses that comply with the following conditions would be eligible for payment of GST liability through the GST Composition Scheme. The GST composition scheme has many stringent regulations and its important for all business owners to under the nuances of GST composition scheme, prior to making an application for registration. territory where he has no fixed place of business. 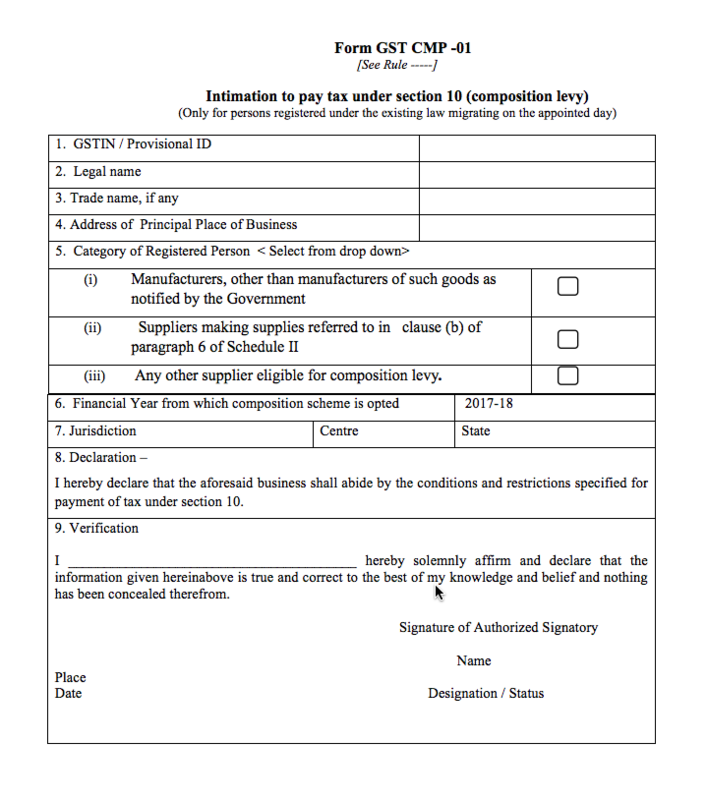 The goods held in stock by the taxpayer on the date GST came into force should not have been purchased in the course of inter-state trade or commerce or imported from a place outside India or received from a branch of the business situated outside the State or from the taxpayer’s agent or principal outside the State. Thus only businesses that have stock that have been purchased within the State would be eligible for the composition scheme. The goods held in stock by the taxpayer has should not have been purchased from an unregistered supplier and if purchased from an unregistered supplier, the taxpayer must then have paid GST on the purchase on reverse charge basis. On the inward supply of goods or services or both, taxpayer should have paid tax under reverse charge basis. The taxpayer should not have been engaged in the manufacture of goods as notified under clause (e) of subsection (2) of section 10, during the preceding financial year. The taxpayer must mention the words “composition taxable person, not eligible to collect tax on supplies” at the top of the bill of supply issued by him. The taxpayer should mention the words “composition taxable person” on every notice or signboard displayed at a prominent place at his principal place of business and at every additional place or places of business. The procedure for applying for GST composition levy differs from persons migrated to GST having provisional GST registration and those obtaining fresh GST registration. Any person who has been granted a provisional GST registration can apply for the GST Composition Levy scheme by filing Form GST CMP-01. Form GST CMP-01 can be filed on the GST Common Portal or a GST Facilitation Centre with the authorised signatory’s sign. Form GST CMP-01 is to be used by persons having provisional GST registration, who migrated from an service tax or VAT or central excise or other such registration subsumed under GST. 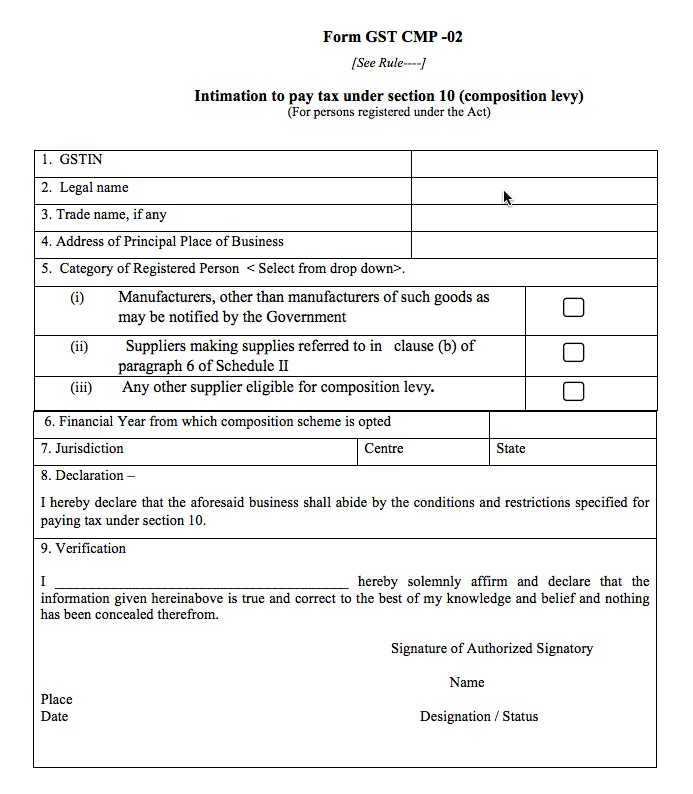 Form GST CMP-01 for GST composition levy must have been filed by those having provisional GST registration should file the form before the date of GST coming into force or within 30 days of GST coming into force or any further period as extended by the Commissioner. 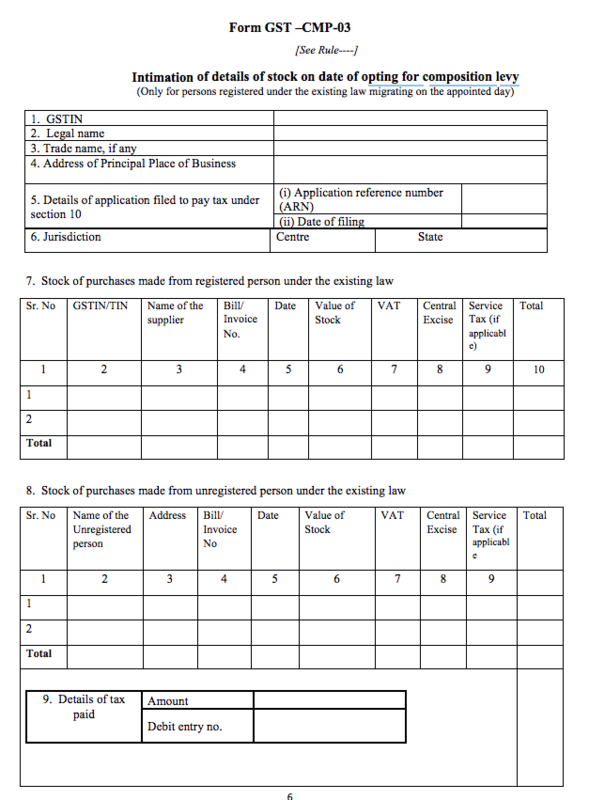 Taxpayers who migrated to the GST registration are also required to file Form GST CMP-03, with details of stock, including the inward supply of goods received from unregistered persons, held by the taxpayer on the day preceding the date from which the taxpayer opts to pay tax under GST Composition levy. Form GST CMP-02 should be filed by those taxpayers obtaining a GST registration for the first time. GST CMP-02 must have been filed by the taxpayer prior to the commencement of the financial year for which the taxpayer would like to adopt the GST composition levy. Further, after filing GST CMP-02, the taxpayer must file FORM GST ITC-3 within 60 days from the commencement of the relevant financial year. The option exercised by a registered taxpayer to pay tax under the GST composition levy scheme is valid as long as the business satisfies all the conditions mentioned in the eligibility criteria above. 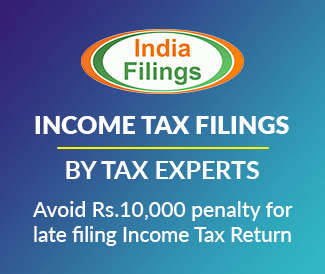 In case any of the above mentioned eligibility criteria is not satisfied by the taxpayer, the taxpayer should cease claiming benefits under the GST composition levy scheme and begin issuing tax invoice for every taxable supply made thereafter. 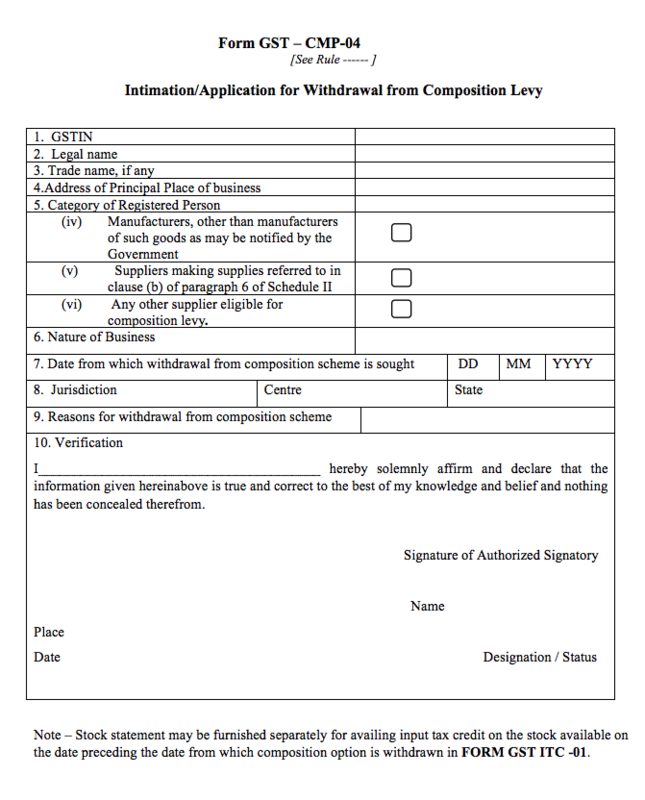 To intimate the cancellation of the GST composition levy scheme, the taxpayer is required to file an intimation for withdrawal in FORM GST CMP-04 within seven days of occurrence of any event that makes the business ineligible for the GST composition levy. For more information about GST Registration, GST Return Filing or other GST related queries, visit the IndiaFilings GST Portal.